According to CultofMac.com many readers are experiencing issues with their iCloud Mail. We’re hearing loads of reports from both readers and Twitter that iCloud Mail & Notes is down. However it seems as if Apple is aware of the problem and are currently working on fixing the problem. According to Apple’s iCloud System Status page, they are aware the issue is affecting “some” users and are working hard to get service restored, but between the various Siri service outages and now this, it’s clear Apple’s been having issues lately keeping their servers up against strong demand. Are you having issues with iCloud? Leave us a comment below. If you have been having issues with Final Cut Pro then this is great news Apple released an update for you today. It’s a small bug fix for those having problems with title fonts and start times on compound clips. Final Cut Pro X is available for US$299 in the Mac App Store, current users can simply update the app for the changes. 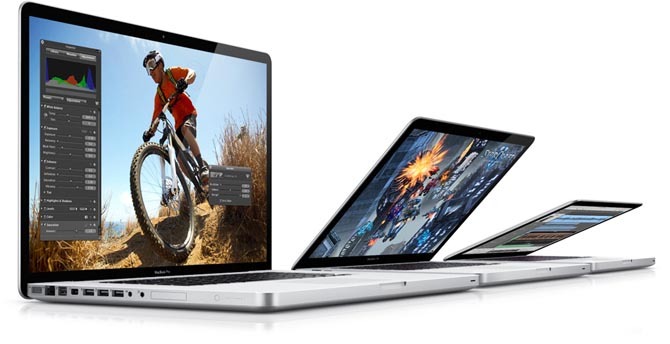 Apple appears to have resolved the problems where 15-inch Mid-2010 MacBook Pro computers may intermittently free or stop displaying video. Additional information about the update can be found at http://support.apple.com/kb/TS4088. DON’T INSTALL APPLE TV 4.4.1 UPDATE!!! Normally I never create a post with a capitalized title, however this really can’t be stressed enough. Yesterday Apple release an update to the Apple TV which was set to fix a number of bugs in the 4.4 firmware, however, version 4.4.1 many users are reporting that after updating their Apple TVs have been bricked. Careful, it just bricked my apple TV….gave me the iTunes logo and a mini usb sign….plugging into my mac now…wish me luck…. Many say that they can bring their devices back to life by plugging them into their computers and restoring via iTunes, however, it seems the best option right now is to just steer clear of the 4.4.1 update altogether. 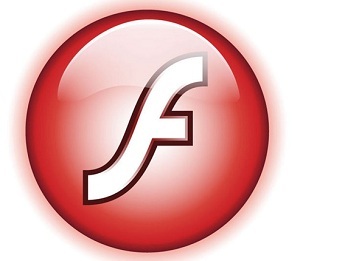 Adobe has updated its Flash Player to version 10.3, squashing a bunch of bugs and introducing a brand new control panel. It’s a welcome addition that lets you better manage the many Flash Player settings, including camera, microphone and Local Shared Objects settings. More importantly, one can now set how Flash tracking cookies are being handled and fine-tune other privacy, security and storage settings. Also important, Flash Player 10.3 now supports auto-update notification for Mac OS X. The new aplet is a native addition to the system-wide control panel on Mac OS X, Windows and Linux, Adobe said. The team wrote in a blog post that Flash Player 10.3 also includes support for Android 3.1 devices. Skype has finally been updated to fix a critical vulnerability which was first discovered last week. Version 5.1.0.935 fixes a major flaw that exposed your Mac to attacks from malicious contacts via instant messages, the exploit resulted in other users being able to gain remote access to your system. The update – which also fixes some bugs in addition to patching security holes – is obviously recommended for all Skype 5 users. To download it, launch Skype on your Mac and check for updates, or visit the website. For those of you who downloaded Skype 5 from the Skype website after April 14th, you may already have the most recent version and won’t see an update available. In which case you don’t need to worry. 2011 MacBook Pro freezes under heavy load!!! The new MacBook Pro seems to have a lot of smaller issues, so far many owners of 15-inch and 17-inch 2011 MacBook Pros are reporting that their notebooks are freezing up entirely under extensive load. At first it was rumored to be single episodes, however one user reported on the Apple forum that he was able to reproduce it on every MBP at his local Apple Store. Apparently, owners of 2011 MacBook Pros are reporting that under heavy load, their notebooks will freeze, even as sound continues. The cursor will still be movable, but the computer is completely unresponsive, and the only way to solve the problem is a hard reboot. A rather lengthy thread, more than 41 pages, on Apple’s discussion forum describe brief blackouts and flickering when hooking up a 2011 MacBook Pro to a 24-inch Cinema Display via the new Thunderbolt port, which is backwards compatible with DisplayPort. The fact the built-in display isn’t affected might suggest a problem with the Thunderbolt port, although it’s most likely software-related. Apple hasn’t yet acknowledged these persistent glitches. They are reportedly aware of these problems, some users wrote, and are investigating them. Remember when logicboards were one of the biggest components of a computer? Not any more. An iFixit teardown of the iPad 2 reveals a logicboard the size of a couple of matchbooks. By contrast, the three batteries consume almost all the interior space. The teardown can be found on the iFixit site. The iPad 2 isn’t easy to open, iFixit says: it’s sealed with a ton of glue. iFixit: And just like that, it’s open. No clips, just tons of glue. As much as we hated trying to remove the clips in the original iPad, this much adhesive is even more of a pain. Be ready to crack your front panel if you dare open it! We’ll be investigating the best way to get inside over the next few weeks. New MacBook Pros Causing Flickering in 24-Inch Cinema Displays? Electronista over the weekend noted a growing thread in the Apple Discussions forum regarding flickering issues being experienced by users of the new MacBook Pro paired with a 24-inch LED Cinema Display. Users have already tried some of the more common tricks, such as resetting the SMC, but haven’t had any initial success. It also applies whether or not the AMD or Intel graphics are being used. Apple support staff are reportedly investigating the issue, having swapped out one user’s affected machine specifically to examine a unit known to be experiencing problems.Well, it appears Apple is aware of the issue. An Apple Discussions Host called me a few days ago after seeing one of my recent posts. He offered to swap my MacBook Pro for a new one so Apple Engineers can get their hands on a known bad unit. I shipped it off last night and anxiously await my replacement. Apple officially discontinued the 24-inch LED Cinema Display last July.